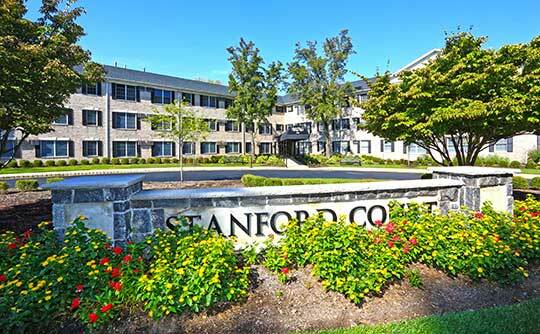 Stanford Court Apartments features one and two bedroom floor plans in Westwood, NJ. 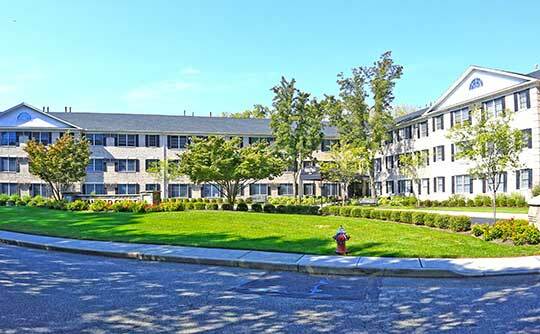 Our three-story building includes 71 spacious apartments in a beautifully landscaped setting. The building includes an elevator for your convenience. Each of our layouts includes modern appliances in a well-appointed kitchen and a spacious living and dining area. With plenty of closet space, you’ll find our one and two bedroom apartments for rent in Westwood perfectly meet your apartment living requirements. In addition to spacious, modern apartments in Westwood, we also boast desirable amenities that set us apart from other communities in the area. With an on-site fitness center, you won’t ever have to leave the building to get in a workout before or after work. Save on gym membership fees and travel expenses by exercising in the convenience of your apartment community. We also have a business center and game room for our residents to use and enjoy. Browse our selection of floor plans and then contact us for more information about current availability. We look forward to welcoming you home to Stanford Court Apartments.